The Mayan Zodiac Symbols, Names & Meaning – Which One Are You? Have you always been interested in astrology? You may be one of those people who have constantly checked astrology reports and their horoscope. You are familiar with your zodiac sign as well as your Chinese horoscope sign but have you ever checked your Mayan horoscope? 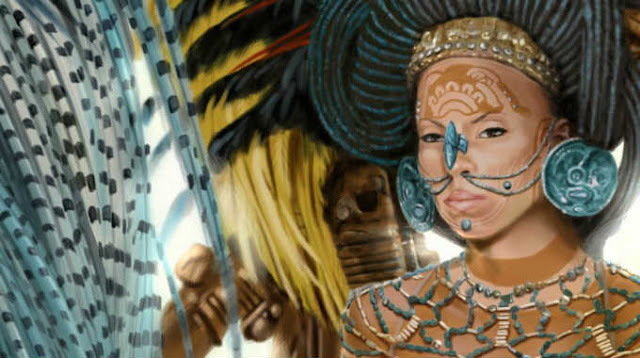 You can learn more information about your Mayan horoscope as you continue to read. First of all, you need to know what your Mayan horoscope is based on the date that you were born. Refer to the table below. Let us learn more about each sign. Take a closer look at your sign according to the Mayan horoscope. You may understand a little more about yourself this way. Being born under this sign gives you an opportunity to become a success. You may choose to act and do what you thinks is best as a leader but you may not be that good at making decisions as you have a tendency to become compulsive. If you would manage to always check the opportunities that come your way, you will be the center of attention in a good way. Your ways may sometimes be unconventional but it will not matter in the long run, especially if they work. If you are born under this sign, one of the most obvious traits that people will pick up is your intelligence. You have a great memory that can be useful for a lot of things. Your good sense of memory can be used in a positive and negative manner. You may have the tendency to not forgive and forget those who have wronged you. You are a very private person and you may sometimes be annoyed when someone tries to get into your private life. You may be shy and you keep a lot of your great qualities hidden from other people’s knowledge. Those who are born under this sign are known to be creatures of beauty. Though the beauty is beyond skin deep. Some may not be as physically blessed as others but the aura that radiates from within is enough for other people to become drawn towards those who are born under this sign. You may always be running late and a bit arrogant but you are very creative. You can hold a lot of meaningful conversations with the people that you love though you do not want discussions that are not going your way. You expect to get a lot of affection from the ones you care for. Your great sense of intuition may be a running joke to some people but you know that your intuition has almost never failed you. The owl is known to be a nocturnal animal that is mysterious in a lot of ways. This is the way that people would see you too. You will have the ability to find ideas that have been abandoned and you can use it to your advantage too. You will open up more to people as you learn to trust them. The peacock is known to be brilliant and easily noticeable and this is how you are too, being born under this sign. You have the tendency to become noticed wherever you go. You may be competitive with others especially in the workplace but you bring passion into all the things that you love doing. You may be driven by the fact that you want to be the best in everything, something that you cannot always be. Yet, you have a tendency to be a giver to those you care for. You find it easy to adapt to the various changes in your life. You may be brought to a completely new environment and manage to get the trust of the people who are there. You are not deceptive though your overall personality is a bit hard to describe. On the contrary, you are quite innocent and you make sure that you can extend your help to those who are in need because of your heart of gold. You may be known for your strength not only in the physical sense but how you go through the problems that are hurled at you. You love joking around and making people laugh though you may not sometimes understand jokes from other people. You may have the tendency to become edgy at times so this is something that you have to watch out so you will not be harmed. Let your good qualities shine. The falcon is one of the most sacred animals for the Mayan people. This explains why you may always experience good luck with all of the things that you do. You have a strong character and you have ambitions that you always want to fulfill. You are aware of the responsibilities that you have to do for yourself, for your family and even for others. This sense of responsibility sometimes make you worrisome as you sometimes worry about others even when you are not supposed to. One thing is for sure though, you do not like being ordered around. The jaguar is known to be highly opinionated and full of ideas. From the time that they understand what they want to do. They map out a plan on how to reach their goals. If you are born under this sign, then you can be passionate about all the things that you do. Remember that this can be your downfall because too much passion can make you lose some important opportunities that could have taken you further in life. You have a tendency to protect the weaker ones. The fox is known to be pure in their intentions. They take into consideration what others would need. They have a tendency to become diligent and be discreet in their actions. They do not like being in the scene. Rather, they would rather be behind the scenes because they feel that they can work better that way. You may be someone who would rather stay away from the limelight and spotlight. There are a lot of people who may not want to be born under this sign because of the negative connotation that people have about the snake but on the contrary, if you are born under this sign, you are usually refined and you would give your love to those who are most deserving of it. Once you give your love though, then you will do everything for those people. You are a very good and dependable friend but a very hard rival. You always feel the need to have brilliant ideas that will take you to the level that you want to achieve. You are a good communicator and you are drawn towards work that will allow you to be with people. A lot of people who are born under this sign have a lot of friends because if they have something that they value most, it is friendship. One thing that should be noted though is the squirrel’s indecisiveness. It may have a tendency to become easily influenced by other people because it does not know what it wants. If you are born under this sign, you may have noticed that your wisdom seems to be more advanced as compared to everyone else. You would love to reach your destination without having to rush things. If you do become rushed or someone angers you, then your anger will reverberate throughout the whole place. People would rather steer clear from you when you are angry as they may get affected. You may have the natural tendency to protect your home more than everything else.